David Dunbar died at Forse 29th September 1939 aged 84. 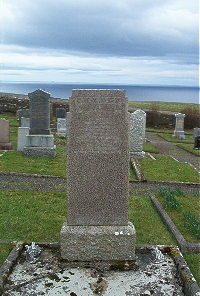 Wife Mary Ann Henderson died 5th October 1939 aged 79. Brother Alexander Henderson died 25th November 1939 aged 74.